GeekyLibrary now enables push notifications so you’ll never miss another geeky book review. Once you click allow, a pop-up notification will appear when GeekyLibrary publishes a new book review. Currently book reviews are generally published once or twice a week, so you won’t be receiving a ton of notices. However, if even this twice weekly (at most) notification is too much for you, you can unsubscribe from these notices… but we will miss you! In order to unsubscribe from notifications, you can simply use Safari’s preferences (Safari > Preferences > Notifications). Click deny and you will no longer receive notifications or be prompted to allow them. 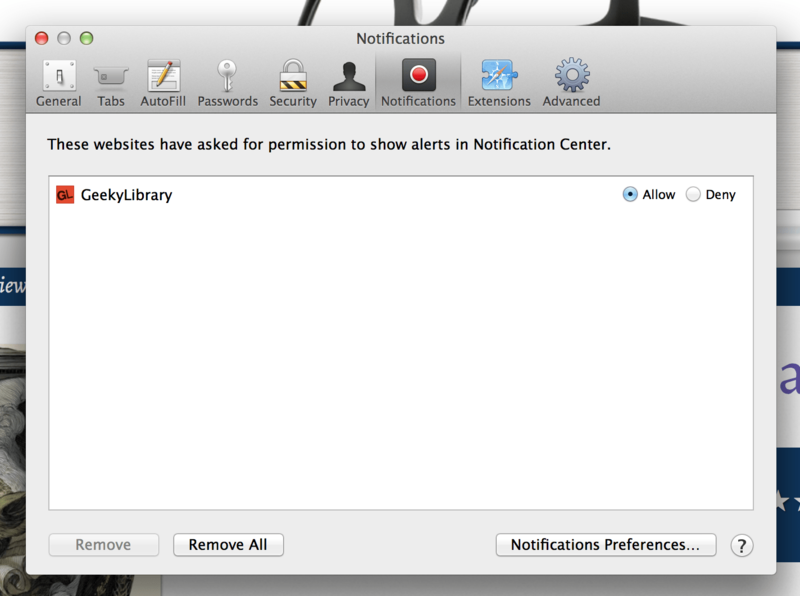 Unsubscribe from GeekyLibrary push notifications by clicking “deny”.